Warning signs must be posted in all King County gun stores and firing ranges. Gun stores in King County will be required to post warning signs in their stores following the approval of a county Board of Health resolution on Nov. 15. The regulation requires that all firing ranges and gun stores post signs notifying buyers and shooters that owning a gun could increase the risk of death by suicide, in domestic violence and by children accidentally gaining access to them. The legislation will be enforced within 30 days in all cities and unincorporated areas in King County, according to the Board of Health. A similar measure was recently proposed by King County Councilmember Joe McDermott this summer requiring signs that say there’s an increased risk of intentional or unintentional death in homes with guns. The signs will also have contact information for Crisis Connections, an emotional health crisis hotline that can provide support. Some gun advocates take issue with the effectiveness of the measure, including Jason Cazes, owner of LowPriceGuns in Bellevue. Cazes said the measure may do little, if anything, to prevent gun violence or accidental deaths. In the case of children gaining access to guns, Cazes said the responsibility is on parents to secure their firearms. He also said he may post his own signs in his store along with the newly required safety warnings. Cazes said he wants to see the opposing sides of the gun debate work together to find solutions. He has a nine-point solution posted on his website, which includes suggestions like raising the age of all gun sales to 21, consolidating all background checks into a single system and to create a national database for stolen guns. Cazes raised the age to purchase any gun in his store to 21 earlier this year, and said that decision has caused blowback from some in the gun community. “I got a lot of hate from gun people as a result of that,” he said. The warning sign requirement is the latest in a quickly growing list of laws in King County which have been approved in recent years. Other measures that were recently passed include a requirement for gun owners to securely store all firearms in a safe; that the Sheriff’s Office destroy forfeited weapons; a youth-led report on reducing gun violence; and the formation of a task force to identify other public health prevention strategies. On Nov. 6, the statewide Initiative 1639 was approved by Washington state voters. I-1639 requires all gun owners to safely store their guns in safes. If an unauthorized person gains access to the gun and uses it to commit a crime, the gun owner can be charged with either misdemeanor or felony negligence. It also requires local law enforcement to be notified when a semi-automatic rifle is purchased and must then authorize a buyer to purchase the firearm. Owners of semi-automatic rifles are further subjected to annual verifications that they are allowed to keep the gun, but specific guidelines were not included in the legislation. 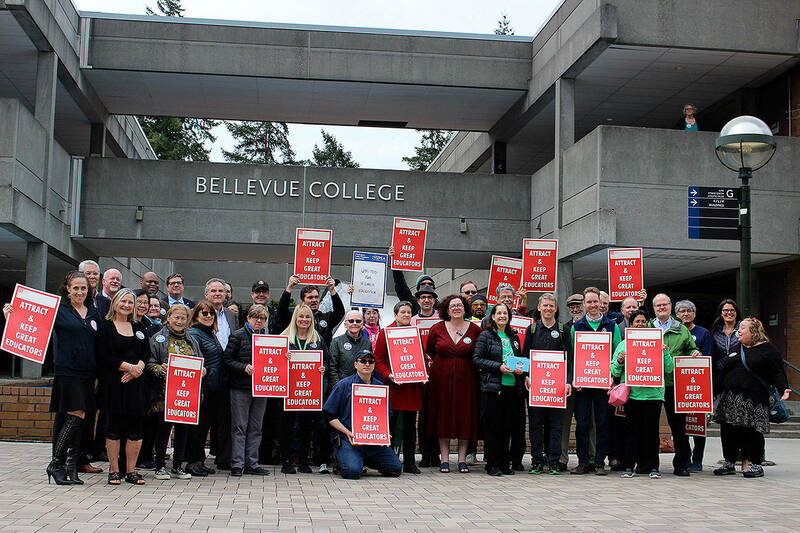 Staff and faculty rally in support of funding for higher education. Bellevue’s Bill Flora is aiming to build his own community of senior Bridge players this May. Bellevue has begun work on the 2019-2020 Human Services Needs Update. Police blotter for April 1-7. The Robototes secured a spot in the world championships in Houston. 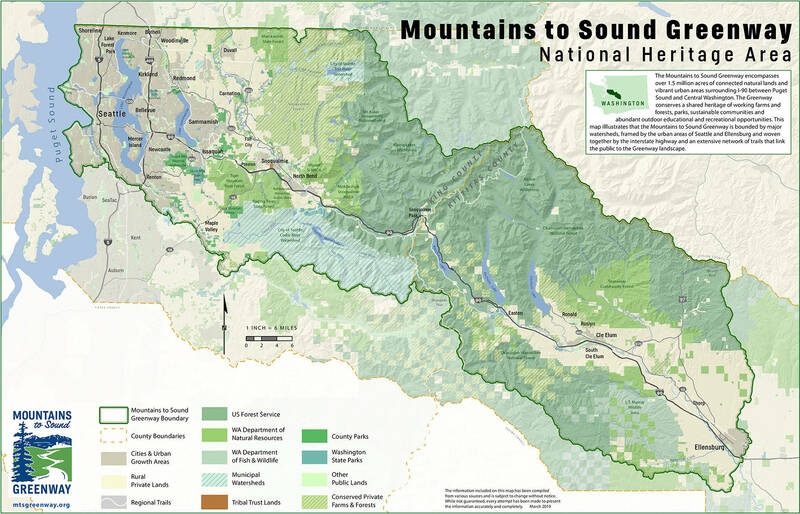 The Mountains to Sound Greenway was recently designated as a National Heritage Area.